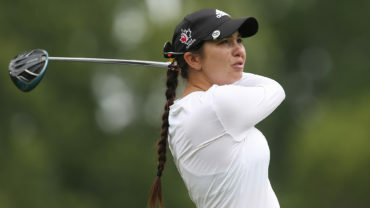 Team Canada veteran Brittany Marchand of Orangeville, Ont., returns to the Young Pro Squad for her second season. 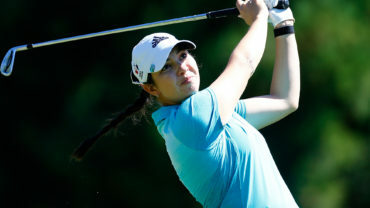 The 26-year-old is coming off a banner year which saw her make 13 cuts in her maiden campaign on the LPGA Tour, including a career-best T7 performance at the Thornberry Creek LPGA Classic. Marchand has been a staple with the Team Canada program, entering her seventh season after joining the Junior Squad in 2011. 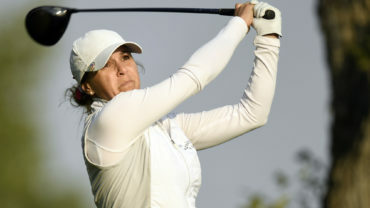 In her young career as a professional, Marchand has collected wins at the PGA Women’s Championship of Canada and the PHC Classic—a Symetra Tour event. My Grandpa. 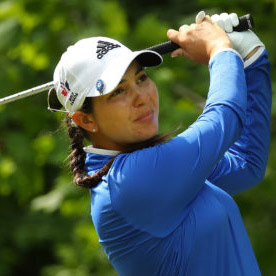 He joined me to a club, Brampton G.C, when I was 7 and taught me how to play. If I am playing in the morning, I love an omelette with lots of veggies and fresh fruit and greek yogurt. My favourite cheat meal has to be pizza, gluten free of course, and if I am really cheating, eating cheese cake for dessert. No hidden talents, but I am part South African, French-Canadian, Chinese, and Dutch. Also I was in a movie, Death to Smoochie as a skating rhino. I hate doing burpees, I also hate push ups. The last picture I took was of my friends (teammates) and I on our girls weekend. I am not really superstitious. I just match my ball marker to my outfit.